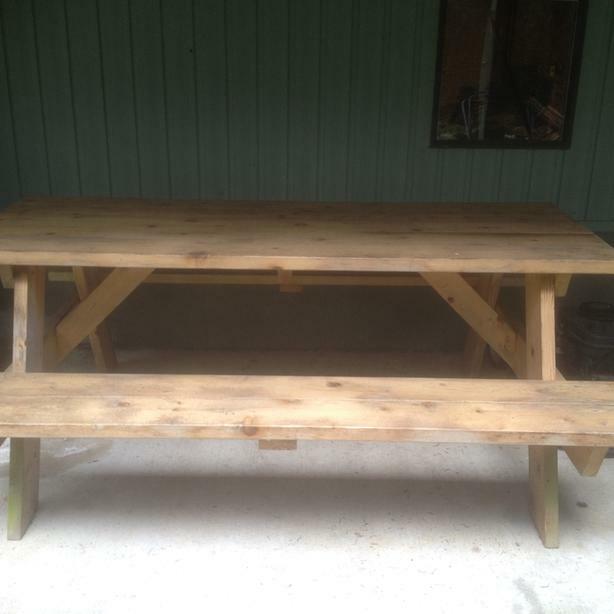 Cedar picnic table 6ft long. Cedar garden seat 6ft 8in long. Needs revarnished, but in good condition. Been stored under cover. 2 umbrellas to come with them.